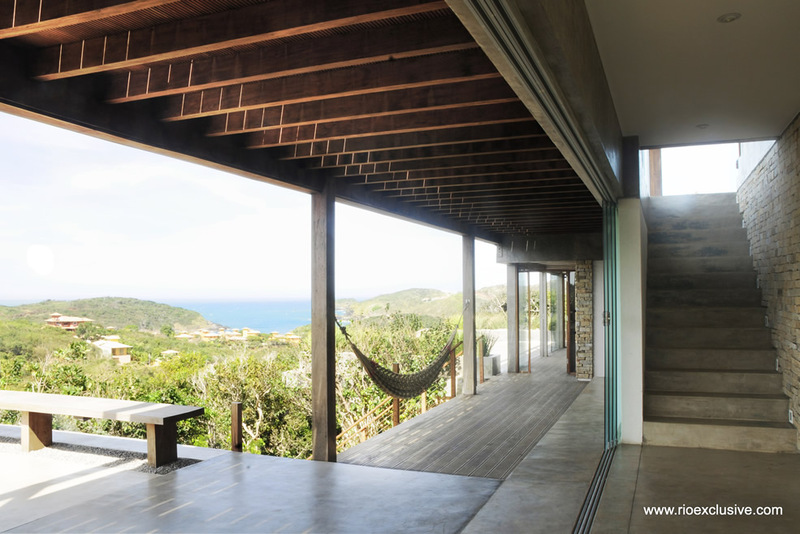 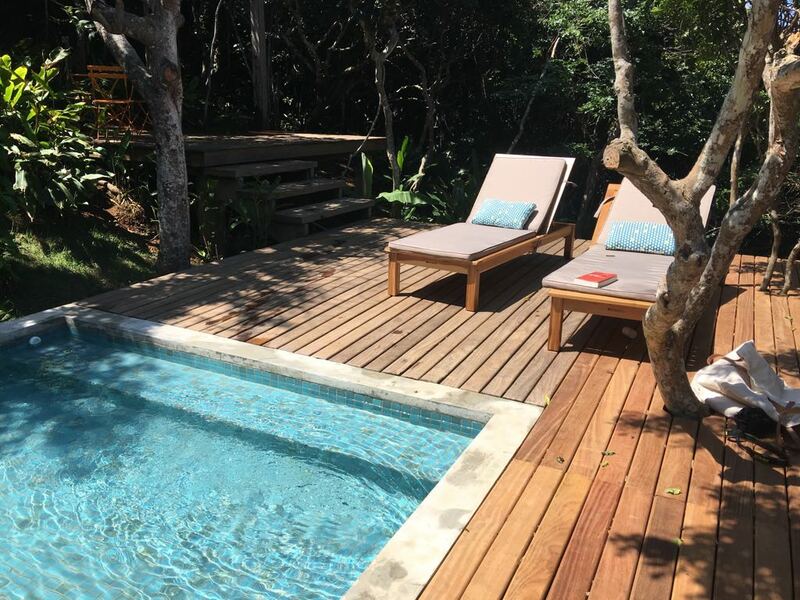 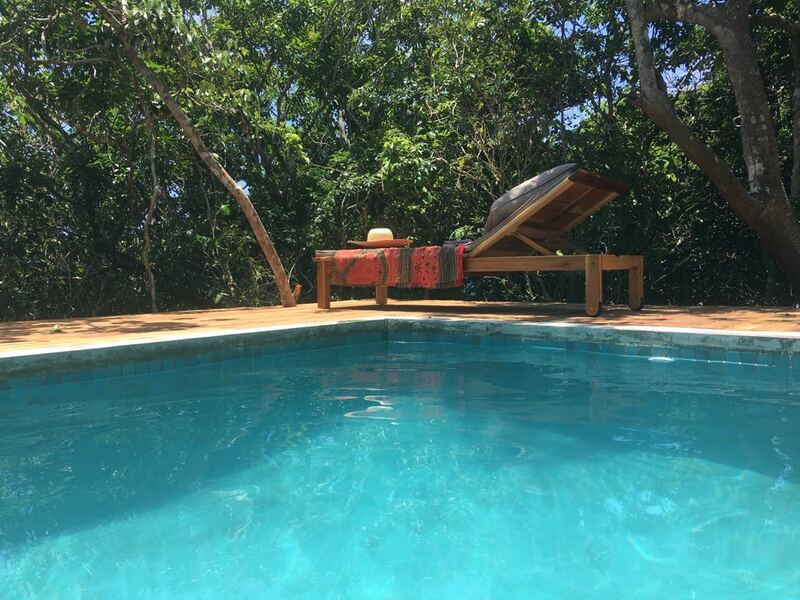 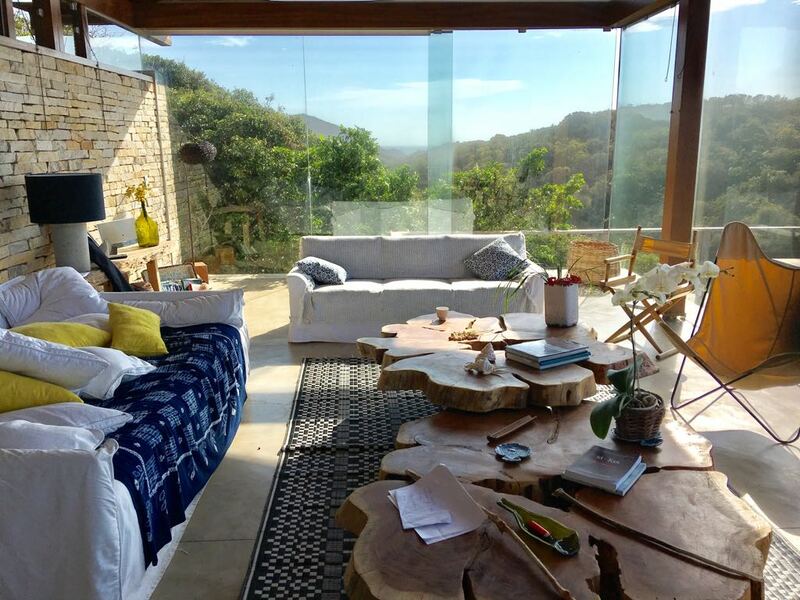 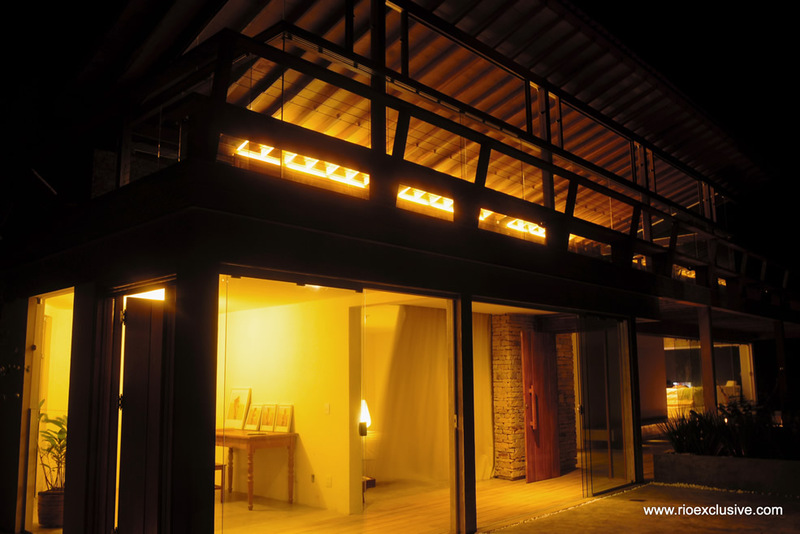 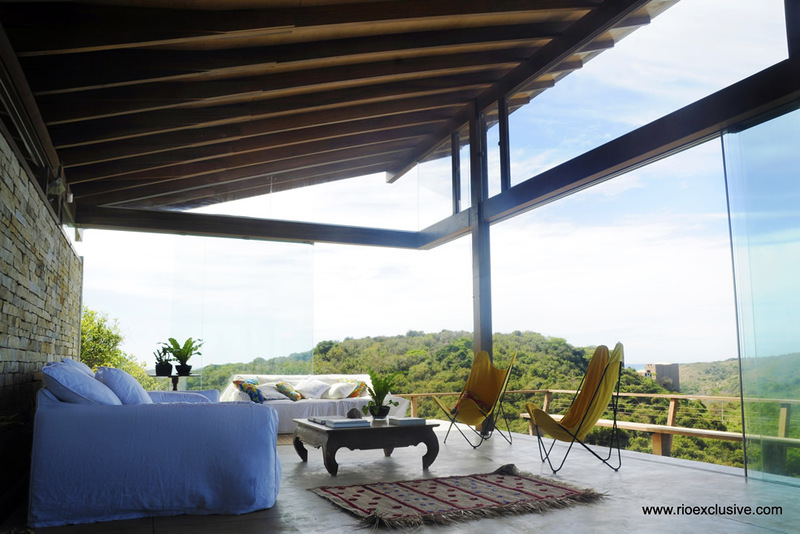 This luxury vacation villa in Buzios is perfect for any family or group looking for a Buzios getaway. 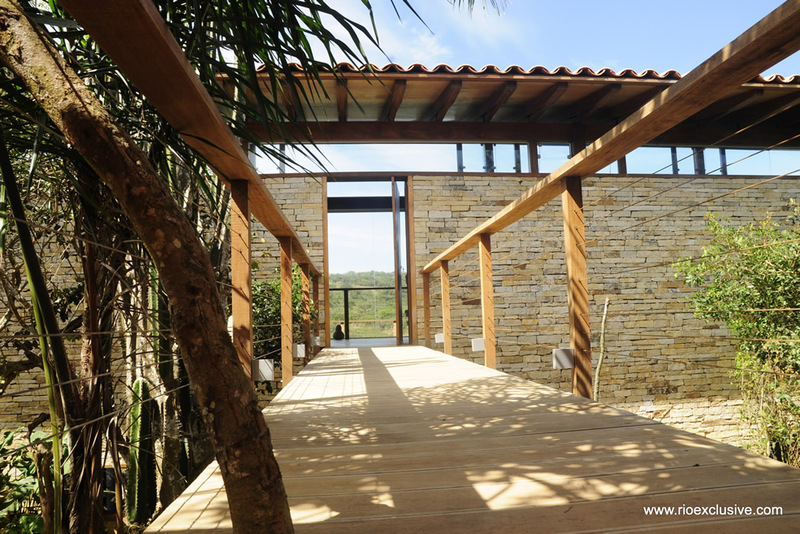 Buzios is a small fishing town a few hours east of Rio de Janeiro. 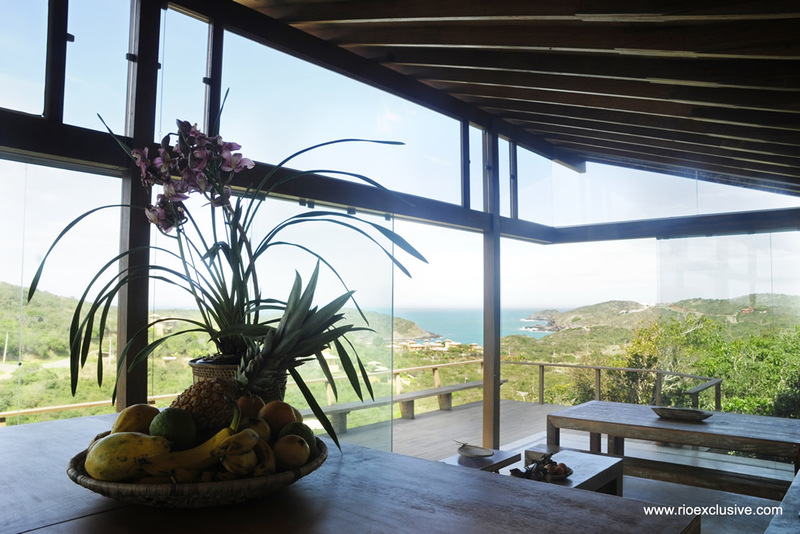 During the Brazilian summer, christmas and New Year there is no better place to be than in a luxury Buzios vacation villa. 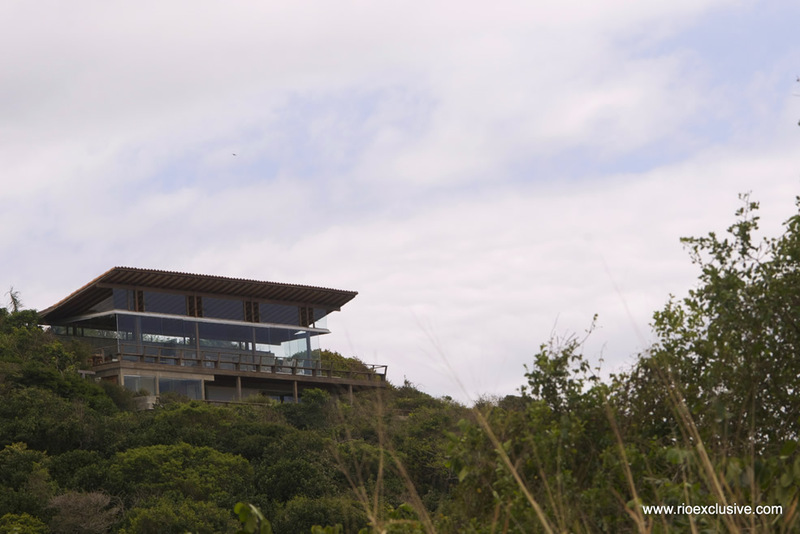 This contemporary villa sits proud on top a hill with staggering panoramic views. 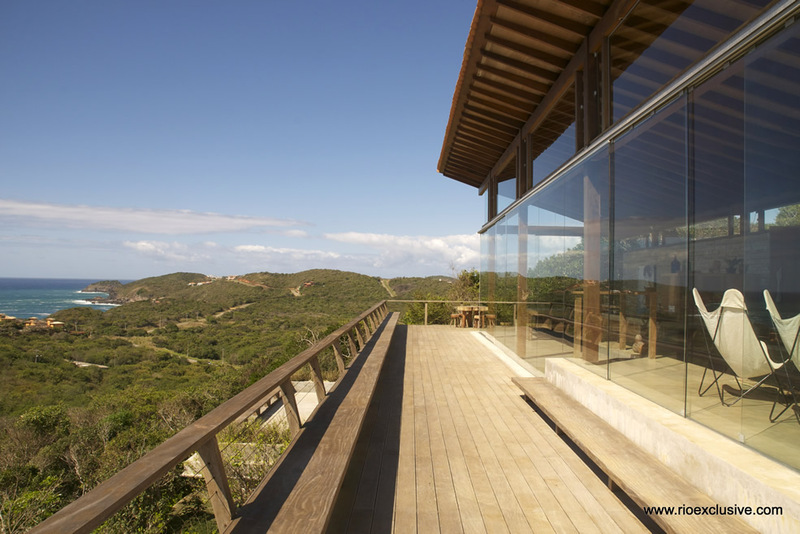 The property is designed to make the most of the surrounding natural beauty with floor-to-ceiling windows and the surrounding veranda blurring the lines between inside and outside. 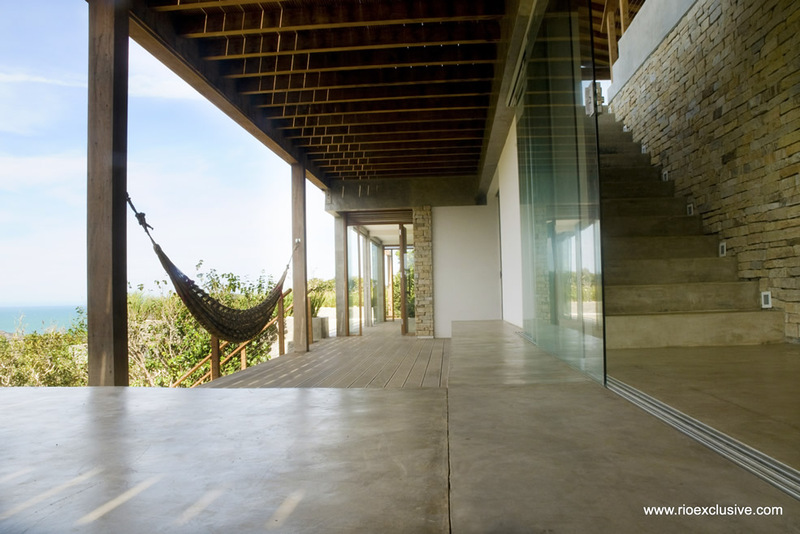 There is a fusion between modern architecture and cozy atmosphere; the ideal villa for a relaxing vacation. 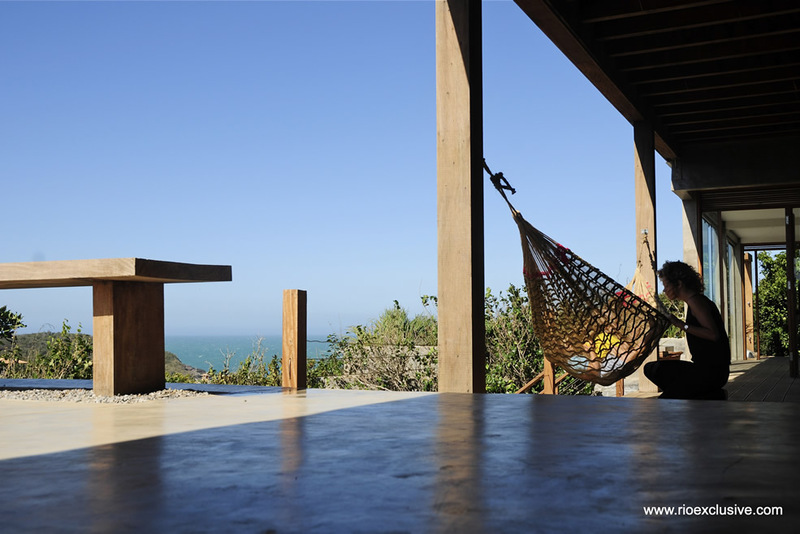 The location of this vacation rental is among the best in our portfolio. 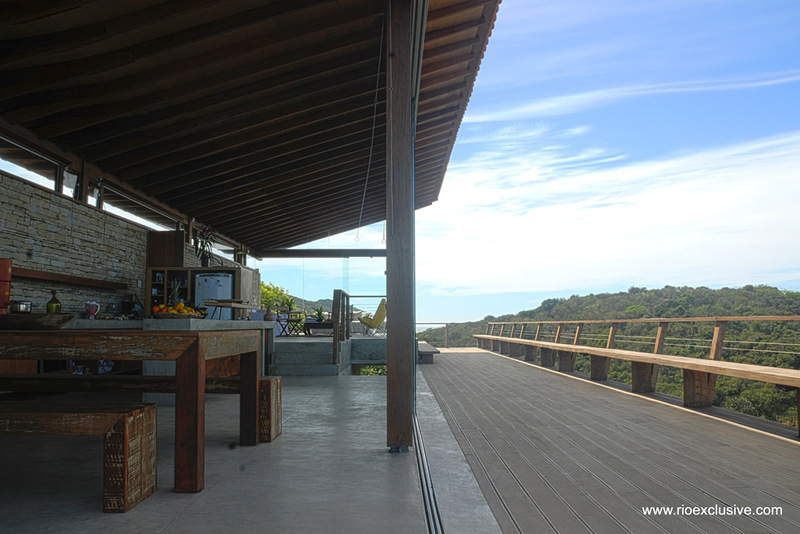 It is a short 2-minute drive to the 5 most iconic beaches in Buzios: Brava, Forno, Ossos, Azeda and João Fernandes. 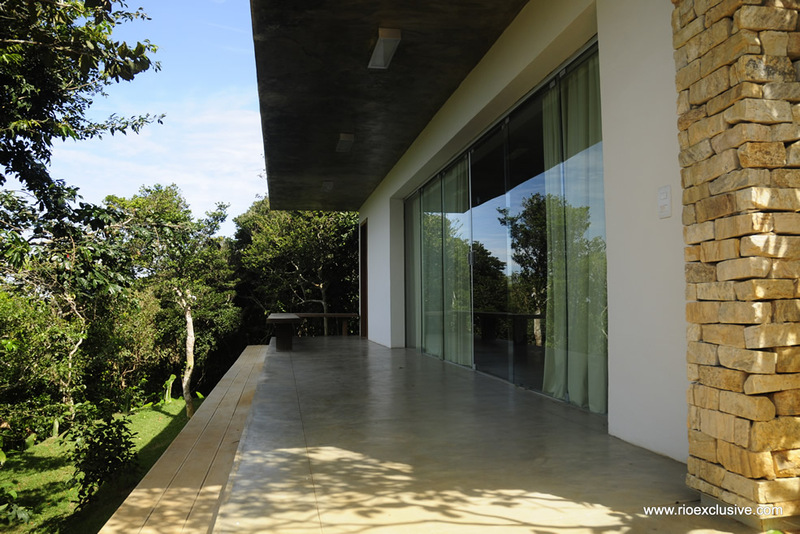 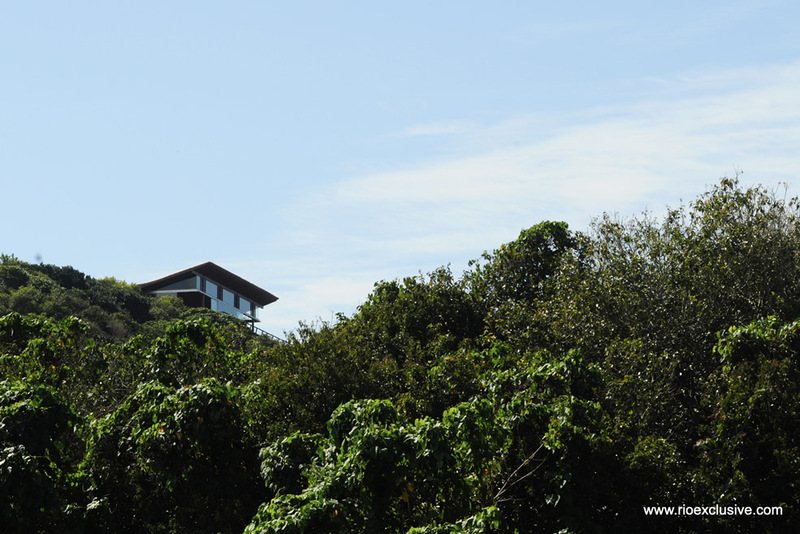 The positioning high on top of the hill also ensure that the villa has a continuous refreshing breeze ayear round. 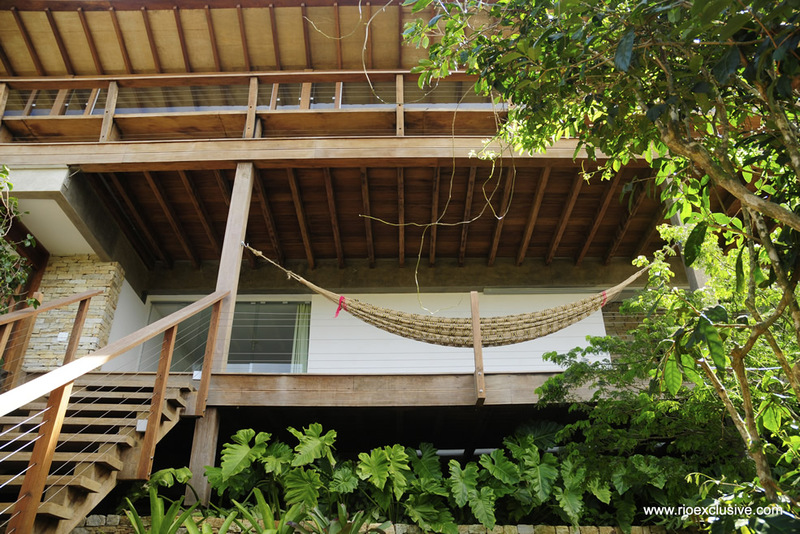 This vacation villa comes complete with cable TV and DVD, free internet access and 24-hour security system.